Learn how to pick the safest car seat for your kids. When it comes to your kids, you’d go to the ends of the earth to keep them safe. You protect them and ensure that they live happy and healthy lives. However, car rides put your kids in danger. Even the safest of drivers have a risk of getting into an accident. Ensure that your kids are as safe as can be with the right car insurance and the right car seat! 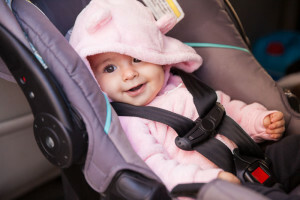 Check out these tips to help you find the safest car seat for your child. As your baby grows, he or she needs a different car seat with different protection. As an infant, it’s important that your child has a rear facing car seat. Weight is the most important factor when it comes to graduating to a forward facing seat. However, your child should move up to the forward facing seat around age two. When your child is between two and four and more than 40 pounds, it’s then time to graduate to the booster seat. Then, once your child is eight years old and or 4 feet 9 inches tall, your child has graduated to a regular seatbelt. Just ensure that your child sits in the back seat until age 13. When it comes to your child’s seat, ensure that you’re picking an option with the best safety features. Look for a safety label that indicates that the seat has been approved by the Federal Motor Vehicle Safety Standard 213. Additionally, be sure to check the seat’s rating. Try looking into the National Highway Traffic Safety Administration’s rating. While it may seem simple to install a car seat, most parents aren’t installing it properly, which puts your baby’s safety at risk! Make sure to read both the car seat and vehicle manufacturer’s instructions. Ensure that the seat is locked into the seat and that it won’t move around in the car. Ensure your child is safe with the right auto insurance. Contact the professionals at Robert J. Los Insurance Agency to find you the right insurance. Located in Hamburg, New York, we serve all your personal and commercial insurance needs.